Covered California's list of participating health care providers and insurers is out, and it's possibly more notable for who isn't partaking in the state's new health insurance exchange rather than for who is. The reasons for the big-name absences are manifold, ranging from payer strategy to high hospital prices to even accusations of gamesmanship. And they help explain the caution that -- despite news that premiums will be far lower than expected -- the exchange transition may be bumpier than some early, optimistic reports suggest. According to representatives for Aetna, United and Cigna, the firms are sitting out California's exchange because they're taking a wait-and-see approach. "We are simply taking the time to carefully evaluate and better understand how the exchanges will work to ensure we are best prepared to participate meaningfully in their development," a United spokesperson told Chad Terhune at the Los Angeles Times. Top health plans have made similar moves in other states. For example, Regence BlueCross BlueShield -- Oregon's largest health plan, based on enrollment numbers -- recently pulled out of that state's insurance exchange. Anonymous observers groused to the Lund Report that by sitting out of Cover Oregon, Regence "is setting themselves up to compete by not participating in the exchange and not gamble on a risky population that they can't predict." United and Cigna are sitting out of Georgia's health insurance exchange, too. Bob Laszewski, president of Health Policy and Strategy Associates, thinks the payers' absences are predictable. "It's absolutely no surprise," that the national plans are sitting out of exchanges like Covered California, he told California Healthline. Unlike the 2006 launch of Medicare Part D, "which was like the Oklahoma land rush," Laszewski said, where national players felt they had "to get in and get share, because all these Medicare patients would be signing up on Day 1 -- growth in the exchanges [is expected] to be very slow. There's not a big upside to being in on Day 1." And that's especially true given the probable downsides. The population that will likely seek initial coverage through the exchanges may be less healthy; if customers encounter administrative problems related to launch, insurers could face brushback; and national plans could strain their IT resources if they are trying to participate in multiple state exchanges. "The big guys are limiting their involvement to the places where they feel they need to be for market share," Laszewski concluded. At the same time, some premier provider networks also are absent from the exchange -- although that decision may have been out of their hands. Cedars-Sinai wasn't included in any exchange plans, and UCLA Medical Center's network also was mostly excluded, Terhune also reports. The rationale for leaving the providers off many payers' lists: They cost too much. Cedars-Sinai is among the most expensive hospitals in the nation, based on the list price of its procedures, and UCLA Medical Center's charges also rank above average. "If we want to keep costs down, something has to give," said Betsy Imholz, special projects director for Consumers Union, told UPI. Narrowing a provider network in hopes of controlling spending, and specifically excluding Cedars-Sinai and UCLA, isn't a new trend; Anthem Blue Cross moved to cut both high-cost providers from a plan offered to Los Angeles city workers last year. And since 2008, thousands of California businesses and agencies have opted for narrow-network plans of their own in hopes of lowering health costs. But will narrow networks work? And will consumers care? Evidence from Massachusetts -- which instituted its own health insurance mandate and exchange half-a-dozen years ago -- suggests that the model can succeed "when plans contract with providers that are pursuing a low-cost strategy, rather than with those that are simply granting temporary discounts to pick up volume," David E. Williams, president of the Health Business Group, told California Healthline. For example, Williams cites Fallon Community Health Plan in Massachusetts, which "partners with Steward Health Care System to offer a narrow network product for about 20% less than comparable plans with broader networks." The plan has been popular with certain individuals and employers who are purchasing coverage through the state's Health Connector and can see side-by-side pricing, Williams adds. Meanwhile, California officials have tried to stress that consumers won't suffer for the absences of various payers and providers; for example, the 13 health insurers selected for the exchange -- out of 33 applicants -- will still offer access to roughly 80% of California health providers, the officials told Terhune. And theoretically, the Golden State's "active-purchaser" approach means that the plans in the exchange are "the cream of the crop," Sarah Kliff writes at the Washington Post's "Wonkblog." That helped to tamp down premiums to lower-than-expected levels. But Laszewski thinks that the attempt to explain Covered California's seemingly low-cost premiums relies on a comparison that isn't apples-to-apples, but "a case of apples to oranges to grapefruit," he writes at his blog, Health Care Policy and Marketplace Review. 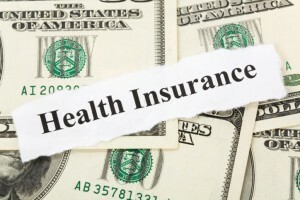 For example, the Los Angeles Times notes that the average premium for individual plans sold through eHealthInsurance in California last year was $177 per month, whereas Covered California's average premium for the three lowest Silver plans statewide will be about 81 percent higher at $321 per month, although with more comprehensive benefits. "For those insured right now, and the estimated 40% that won't be eligible for a federal premium subsidy, that sure looks like rate shock to me," Laszewski writes. "For the 60% who will get a subsidy, this means the taxpayers are going to have to fork out lots more money." And for all the focus on Covered California, only a minority of state residents -- about five million Californians, or roughly one-sixth of the Golden State's population -- are expected to gain coverage through the exchange.